In my current position I lecture undergraduates and graduates in International Development, with a particular focus on African politics. At the same time I have an ESRC Future Research Leaders fellowship to develop a project on how the securitisation of poverty and development impacts on what it means to be a citizen in times of crisis, through research on the experiences of young Sierra Leoneans living in informal settlements during the Ebola epidemic. By looking at how young people experienced the militarised containment of disease in their neighbourhoods, the project probes into the nature of state-society and negotiations and contestations of citizenship. Prior to joining Bath I worked as a Research Fellow at the London School of Hygiene and Tropical Medicine, for which I was based in Kambia, Northern Sierra Leone, conducting qualitative research on community experiences of the West African Ebola outbreak and acceptability of biomedical interventions, in particular a new vaccine trial taking place in the district. The MPhil and DPhil at QEH completely changed my way of thinking, introducing me to the critical mindset, theories and methodologies that my current work is based on. 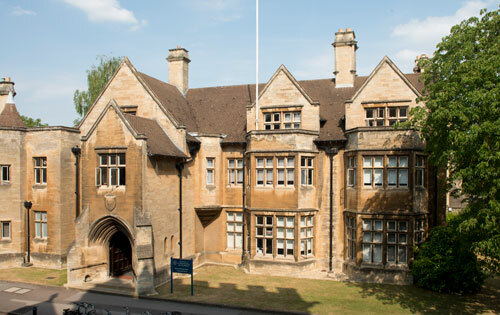 The DPhil community was absolutely invaluable, I learned (and still learn!) so much from my peers and in 'the loft' I found an incredibly supportive space in which to grow as a scholar and as a person. The DPhil community was absolutely invaluable, I learned (and still learn!) so much from my peers and in 'the loft' I found an incredibly supportive space in which to grow as a scholar and as a person.